Haunted houses are becoming more popular by the minute thanks to paranormal reality TV shows such as Ghost Hunters, The Dead Files, and Haunted Highway. These series allow viewers to follow along as they explore some of the scariest places on earth. These areas include mansions, castles, and more. Here is a breakdown of the most expensive haunted houses. Number ten on the list belongs to the Franklin Castle valued at $260,000.00. Constructed in 1865 by a wealthy grocer turned banker, the house has experienced a fire, neglect, and the wrong side of a weak economy. The current owner has plans to convert it into a bed and breakfast although guests will be uncertain as to whether or not something sinister already occupies their room. Lizzie Borden’s house is next on the list at number nine and is worth $500,000.00. Lizzie Borden’s mother and father were brutally murdered and in 1892 she was acquitted of their murder. She decided to live out the rest of her days in her hometown of Fall River, Massachusetts. Number eight belongs to the Kimball Castle at has a price tag of $879,000.00. The castle sits on 23 acres of land which hosts a variety of outbuildings and a stable. Former occupants bear witness to doors opening and closing on their own along with terrifying horse like sounds coming from the existing stable. 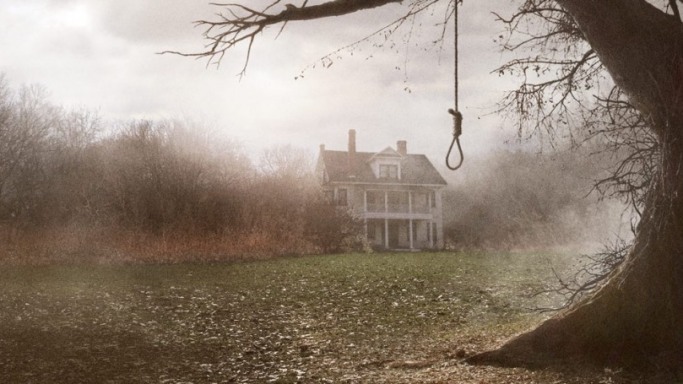 The Amityville house is next at number seven. No stranger to publicity, this $1.15 million home was the scene of a horrific incident back in 1974. Ronald DeFeo Jr. murdered all six of his family members in their sleep and it is now reported that the walls ooze, doors slam, and furniture moves on its own within this famous establishment. Ghost don’t mind the heat as number six is The Surgeon’s House located in Arizona. Originally constructed by a surgeon in 1916, the house now has a value of $1.2 million and is currently a bed and breakfast. Guests have reported seeing ghosts that resemble maids, dancing couples, and a person with a doctor’s bag. The fifth house on the list was featured in the series American Horror Story: Coven and was once owned by actor Nicolas Cage. It is the infamous Lalaurie house which is worth approximately $2.3 million. In 1831, the owners of the home had numerous slaves who were all treated poorly. The house caught fire in 1834 killing most of the slaves who can now be seen as ghosts walking along the balcony in addition to strange noises being heard. Brittania Manor II has the honor of being the fourth most expensive haunted house and is worth $4.1 million. Thanks to a TV special back in 2007, it is perhaps the most famous haunted house. This establishment has become one of the top spots for Halloween parties and other spooky events. The Ennis house lands at number three worth $4.5 million. Designed in 1923 by Frank Lloyd Wright, it has a unique Mayan type of look to it and has been featured in a number of movies. The Schweppe Estate valued at $12 million is second. Both a prince and princess have passed away in the house and it is rumored that the two of them still look out a particular window. In fact, it is stated that some of the servants still prepare food for the deceased masters. The White House, yes, that’s right, the $110 million dollar White House is number one on the list and has been the sighting for numerous ghosts and other paranormal activity. It is rumored that the ghosts of Abraham Lincoln, Thomas Jefferson, Abigail Adams, and many more roam the halls at night.